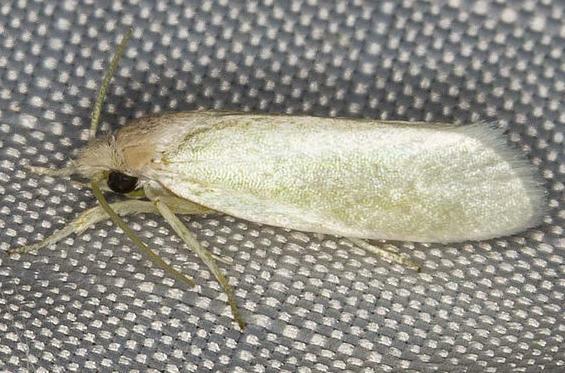 This adult moth has wings that are white with a greenish tinge. The tornus of each wing is so smoothly curved as to be nearly indiscernible. The wingspan is about 2 cms. Volume 72 (1947), p. 153, No. 2237.